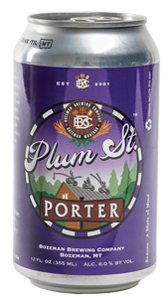 Named for Bozeman’s unique Northeast side, where the brewery resides, this porter is as eclectic and eccentic as the neighborhood, with a rich blend of seven malts resulting in a velvety smooth texture and flavor, with a hint of chocolate. 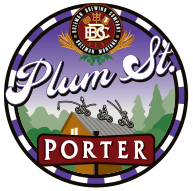 This brew has a full malt body with a deep, dark coffee color and a subtle hop dryness to make this porter extremely enjoyable. Pair:Roasted or smoked food: barbecue, sausages, roasted meat, blackened fish. Cheese: Cow milk such as Tilsit or Gruyere. Dessert: Chocolate peanut butter cookies, toasted coconut cookie bars.